Arrangement by "We Are Dark Angels"
Most reviews I've seen of First Reformed have praised it as Paul Schrader's best work since either Taxi Driver (1976) or Raging Bull (1980). And whilst I think that's an oversimplification, unjustly ignoring such strong screenplays as The Last Temptation of Christ (1988) and Bringing Out the Dead (1999), and very unjustly ignoring such superb directorial work as Affliction (1997) and Auto Focus (2002), there can be little doubt that First Reformed is easily his best film of the last fifteen years or so (which wouldn't be hard when you consider films like The Canyons (2013), Dying of the Light (2014), and Dog Eat Dog (2016)). 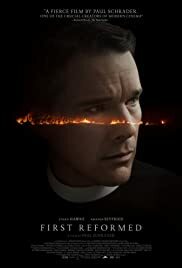 The film tells a deceptively simple story - Reverend Ernst Toller (Ethan Hawke) is the parish priest of a small congregation in the Snowbridge suburb of New York. A former military chaplain, Toller is struggling with the death of his son, Joseph, who he encouraged to enlist, and who was killed several months into his first tour in Iraq. As a result, Toller's marriage fell apart, which his wife blaming him for Joseph's death. As the film begins, Toller's spiritual crisis is already well under way. He's drinking too much, doesn't show much interest in his official duties, doesn't seem bothered that his congregation has dwindled to about ten people, and has taken to recording his thoughts in a journal which he plans to keep for one year, and then destroy. After Sunday mass, Toller is approached by Mary (Amanda Seyfried), one of his parishioners, who is worried about her husband, Michael (Philip Ettinger). A radical environmentalist who has just been released from prison in Canada, Michael has developed extreme nihilistic views, and wants Mary to abort their unborn child because he doesn't think anyone has the right to bring a child into a dying world. Although initially reluctant to get involved, Mary persuades Toller to counsel Michael. Meanwhile, the 250th anniversary of the First Reformed church from which Toller works is fast approaching, with a huge service to be attended by both the governor and mayor. The above plot summary takes up roughly the first twenty minutes or so of the film, almost up to the end of the first act. At that point, it looks as if the narrative is heading in the direction of following Toller as he sets about changing Michael's extreme worldview. But that's not where it goes at all, instead focusing almost exclusively on the disintegration of Toller's faith, and the development of his own nihilistic outlook. Along the way, it introduces us to three main supporting characters - Reverend Joel Jeffers (Cedric the Entertainer) of Abundant Life, the megachurch that owns First Reformed, and who gave Toller his job; Esther (Victoria Hill), choirmaster at First Reformed, who had a brief sexual relationship with Toller after his marriage ended; and Edward Balq (Michael Gaston), an industrialist whose company is regarded as one of the worst polluters on the planet. As Toller wrestles with his conscience, he comes into conflict with all three in various ways. At the same time, Mary remains virtually the only remnant of hope in his life, as they continue to grow close. The most striking thing to me about First Reformed is that it is brilliantly shot in Academy ratio (1.37:1), and as a result, everything is boxed in, suggesting little room for movement, with very little empty space in the frame. Coupled with this, Schrader is remarkably consistent in composing perfectly symmetrical shots (the opening scene is a good example). Together, the small frame and the symmetrical compositions give one the impression of looking at a confessional, with the priest on one side and the confessor on the other. As Toller's journal entries occur throughout the film in the form of voiceover, this aesthetic replication of a confessional is enhanced even further - although Toller is not the priest hearing the confession, he is the one confessing. In line with this, First Reformed is not an easy film to watch. It's central themes are suffering, loss of faith, nihilism, and environmental catastrophe, and the way the film is shot, with the added intimacy of the journal, make it seems as if the audience is suffering right alongside Toller; we're drawn completely into his world, and even his mind, in a way very few films achieve. Schrader allows the content to brilliantly dictate the form, with the two becoming so intertwined as to be virtually indistinguishable from one another - a concept most filmmakers don't seem to even understand, let alone have the ability to accomplish. Interestingly this is the second film in the last twelve months to use Academy ratio for explicit narrative reasons, the other being David Lowery's superb A Ghost Story (2017). Of course, Schrader is as cine-literate as they come, and doesn't make films in isolation (for example, there are at least three explicit visual references to Taxi Driver), and looking at First Reformed in relation to his career would require a full article-length study to itself. 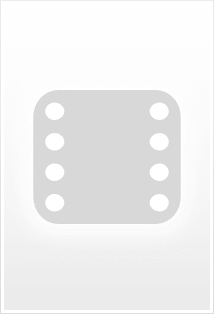 However, the film in his oeuvre of which I was most reminded was, strangely enough, Dominion: Prequel to the Exorcist (2005), which is not especially good, but which does share many of the same narrative beats and thematic concerns - a lost priest whose experiences of the darker side of humanity has led to him questioning his faith; a crisis of conscience; a righteous cause to which he totally gives himself over; an indifferent God watching everything unfold; an unimaginable sacrifice; hope offered in the form of an innocent. 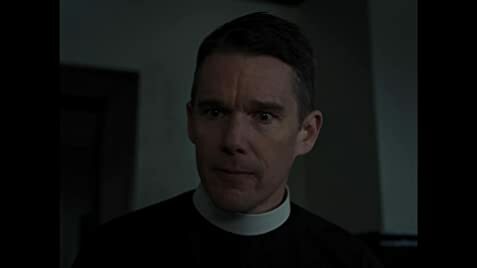 First Reformed is a lot better, and a lot more morally complex, but there's certainly a thematic consistency. However, that is not to say First Reformed is perfect. There are parts where it is extraordinarily clunky. For example, there's the wake where a group of environmentalists start singing an awful cappella version of Neil Young's activist song, "Who's Gonna Stand up? ", or the scene where Mary and Toller take (figurative) flight through the power of holding hands (in a scene that reminded me of The Big Lebowski (1998) far more than I would imagine was intended, and got quite a few laughs at the screening I attended). Additionally, although I've seen many reviews talking about how thought-provoking the environmentalist side of the story is, for me it never really coalesced into anything inherently coherent. Obviously, Toller is a man ready to fall apart when the movie begins, and Michael's concerns about the future of the planet serve as the catalyst for that. However, rather than the film presenting this as nothing more than the backdrop against which Toller's crisis takes place, and thus purposely rendering it unimportant in and of itself, Schrader seems to be trying to genuinely shoehorn in a call-to-action. Which is fairly out of place. And, to be honest, the photograph of the emaciated polar bear is far more disturbing and resonant than any of the facts and figures the film occasionally tosses out. I'm also not 100% convinced the black comedy worked. There aren't that many instances of it, but when they come, they are so black as to be easily missed. Probably the best example is when Toller is showing a group of children around First Reformed, and telling them how it was a stop on the Underground Railroad, showing them a secret basement in which the runaway slaves would hide. However, instead of simply giving them a quick history lesson, he ends up staring into the basement and giving a graphic description of what it must have been like hiding in the dark, scared and tired, with no room to move. There's a few moments like this, but I didn't think they really sat well with the ultra-realism on display elsewhere. But they're minor faults, and all things considered, this is a high-quality film. Will it be in contention come awards season? Possibly. Schrader has always had a fraught relationship with the Academy (hard to believe he's never even been nominated for an Oscar), but this is the kind of serious subject matter that voters usually lap up. I certainly wouldn't be surprised to see Hawke get some acting nods, possibly Seyfried too. Irrespective of that (and we all know the amount of Oscar nominations a film gets has very little to do with its quality), this is a strong film made by a skilled artist about a subject matter for which he clearly feels deeply.